The March 26th attack on the hospital alleged by Tamilnet is not mentioned by the US report, which instead mentioned that one of the entrances to the hospital was hit, and a child was killed by a shell which landed 10 metres in front of the hospital. The Panel however states baldly that RPGs were fired at the hospital around 27 March killing several civilians. In addition to civilian casualties, the operating theatre, makeshift ward and roof all sustained damage’. Tamilnet, which had put the number of deaths at five, all patients ‘who were being treated at the Intensive Care Unit’, dwells rather on the fact that the attack ‘also destroyed part of the medicines recently brought to the hospital’. The Panel does not refer to this, perhaps because it would take away from its claim that ‘The Government also systematically deprived people in the conflict zone of humanitarian aid, in the form of food and medical supplies’. There were no further allegations that the hospital was attacked until 20th April, and in the interim Tamilnet reported large numbers of patients being admitted to the hospital. This was not reported in the US Report. On the 22nd Tamilnet reported that shelling killed a doctor and eight persons at a makeshift medical centre in the same area, but this does not seem to have been a hospital, and it was not mentioned in the US Report. On May 2nd there was an allegation of attacks on the makeshift hospital at Mu’l’li-vaaykkaal, ‘the only remaining makeshift hospital’. This again was not mentioned in the US Report though on the 4th it was said that civilians were not being properly treated because of attacks and non-availability of essential medicines. Patients however continued to go to the hospital for the next ten days, but there were allegations of attacks on the hospital again on the 12th and the 13th. Even supposing these allegations were true, it is a perversion of language to claim that the government systematically shelled hospitals. The insidious use of the word systematically twice in the same paragraph, usage not borne out at all by details supplied, indicates a determination to insinuate that war crimes were committed, when in fact all that the narrative substantiates with regard to hospitals is that some collateral damage probably occurred. The Panel however insists that ‘All hospitals in the Vanni were hit by mortars and artillery’. This is a complete falsehood, though perhaps it can be explained by sheer ignorance rather than viciousness, the members of the Panel perhaps not understanding what the term Vanni means. 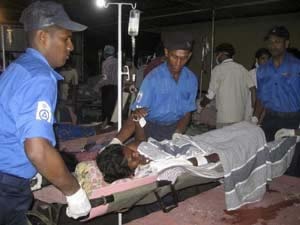 For the fact is, the collation of Tamilnet complaints in the last six months of 2008 shows mention of hospitals on just four Occasions, once on October 2nd when ‘the building of the Ki’linochchi hospital was shaken’ due to blasts, another on the 25th when a shell destroyed the front wall of the hospital though there was no damage to the buildings, another on the 31st when shells exploded close ‘to the wall’ of the hospital. After that, on 21st December,Mullaiththeevu Hospital was claimed to have come under artillery fire, with two patients sustaining injuries and two medical staff wounded. On this occasion the building sustained damage, something that did not happen to any other hospital in the Vanni in 2008 according to Tamilnet. It is possible that Tamilnet did not report damage that occurred, and it is possible that my staff failed to monitor Tamilnet properly. 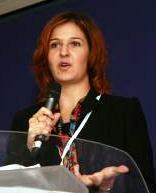 But we know that Tamilnet generally put forward the worst possible case scenario. I know that the Al-Jazeera journalists, looking at my records, said they accorded pretty well with their own. It is also possible that, in running my eye through my records to respond on the day it appeared to the allegation cited, I missed something – but the records are available for inspection by more precise and careful persons. Somehow, though, I do not think members of the Panel will be amongst them. In looking at what happened in 2008, and what happened after the alleged shelling of February 9th, I have thus far omitted events in between. In this period there are more allegations, and indeed they form the bulk of the allegations recorded by the Panel, but the confusion is also more apparent. The US Report claims that a foreign government reported that civilians were killed because of heavy shelling at the Puthukkuiyiruppu Hospital on January 2nd, but Tamilnet only spoke of two persons accompanying an ambulance convey being wounded at a point en route. There was no mention on Tamilnet of any hospital being hit over the next few days, though there was mention of shells hitting a settlement behind the PTK hospital and then exploding near it. But the US Report says that, according to a ‘source in the NFZ’ on the latter occasion, January 12th, shells fell into the premises of the hospital. The Tamilnet statement of January 13th, that a woman was killed and six persons wounded when PTK ‘hospital premises and its environs came under artillery fire’, has changed in the US Report to HRW reporting that the Hospital was hit by shells. These shifts suggest that, by the time reporting was done with a view to systematic allegations of war crimes, stories were changed so as to suggest that hospitals were deliberately targeted and hit. The Panelists have not mentioned these incidents as far as I can see, but they have dealt at length with what happened between January 19th2009 and February 4th2009. The story now seems to have changed from what was mentioned in the summary, about all hospitals being hit, the allegation now being ‘Throughout the final stages of the war, virtually every hospital in the Vanni, whether permanent or makeshift, was hit by artillery’. The account begins with the allegation that the VallipuramHospitalwas hit on or around 19 to 21 January. The US Report has shells landing in the yard of the hospital on January 19th and hitting the Hospital itself on the 21st with no reported casualties, both these statements provided to them by HRW. HRW then added that on the 22nd the Hospital compound was hit, killing five people. This, the only one of these incidents Tamilnet reports is transformed in their account into the hospital being damaged and five civilians killed. Interestingly, the Tamil net report declares that the RDHS had confimed that the Sri Lankan military had been sent the coordinates of the hospital, which was a ‘makeshift’ one. It is interesting that Tamilnet stresses ‘civilians’ whereas the Panel claims that ‘Particularly those (hospitals) which contained wounded LTTE were hit repeatedly’. The US Report notes an HRW allegartion on January 26th that the Udayarkattu Hospital was hit, killing 12 and injuring 40. Tamilnet also had 12 dead, but on January 24th, but mentioned only that shells had exploded inside the hospital premises, with the deaths evidently outside. On January 26th they claimed 10 patients were killed in the hospital, with four ambulances damaged. The Panel ignores the HRW reports that the PTK hospital was hit earlier in January, sensibly so inasmuch as the US Report stated that ‘According to satellite imagery taken on January 28, the Puthukkuduyirippu Hospital did not appear to show visible damage and appeared to be functioning’. The Panel however asserts that ‘in the week between 29 January and 4 February, PTK hospital was hit every day by MBRLs and other artillery, taking at least nine direct hits. Extraordinarily, this was not mentioned by Tamil net, which only claimed that ’10 civilians, including ICRC/SLRC staff stationed in the vicinity of PTK were wounded’ (though it claimed that a nurse was killed when 3 shells hit the Udaiyaarkadu makeshift hospital). Though it claimed that hospital authorities were unreachable to verify the details, it added later that both hospitals had been hit by the shelling. Yet another Tamilnet report on the 2nd referred to the PTK hospital being shelled on the previous night, ‘killing nine civilians, including patients and their family members in the ward’. This sounds a bit like the extraordinary assertion of HRW 18 months earlier concerning the episode which led them to declare in a sensationalistic press release that ‘Security forces have subjected civilians to indiscriminate attack’. 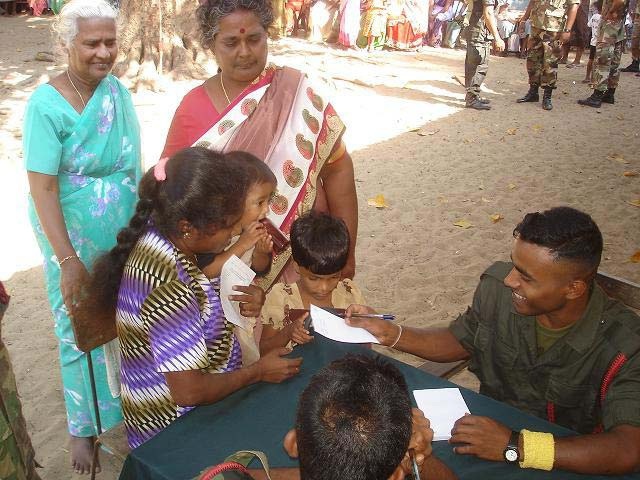 The whole report, which was introduced by this release, had only one instance in which civilians died, and that was the episode at Kathiravelli school which the army took responsibility for, but said that they used ‘mortar locating radar’ to hit LTTE gun positions. 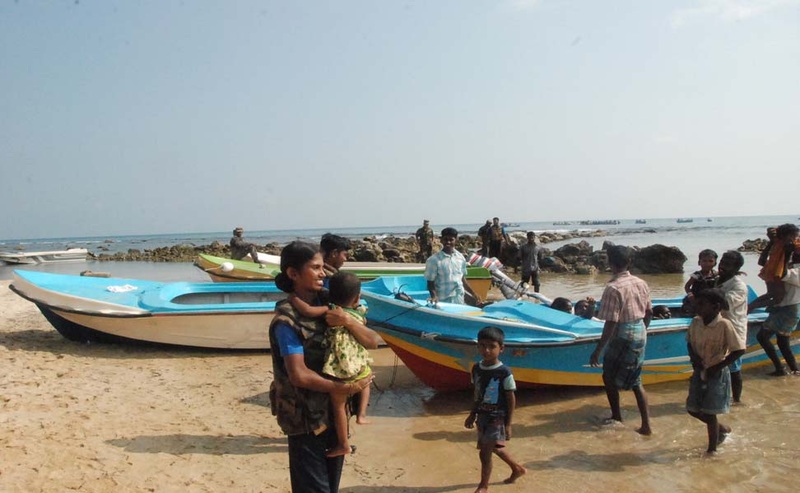 HRW however claimed that ‘while the LTTE was frequently milling about the area, no LTTE fighters were located in or adjacent to the IDP camp at the time of the attack or directly before’. ‘However, HRW also notes that ‘The LTTE had sentries in the area of the camp, ostensibly to monitor the movement of displaced persons’. A man in the camp added that ‘In the daytime, the LTTE didn’t carry weapons. When the LTTE has heavy weapons, they don’t show them because they’re afraid someone will inform.’ Another woman added ‘that about 15 LTTE fighters stayed in some huts about 6000 metres from the school. “They had rifles but no heavy guns,” she said.’ The report also notes the many bunkers in the school grounds but says that the displaced persons dug bunkers so as to ‘protect their families from government shelling’. Whilst this last phenomenon may seem only strange, the conclusion is inescapable that there were at least at some times LTTE members with heavy weapons in the camp. This does not in any way justify the killing of civilians but, combined with the initiation of an artillery attack, and what would probably have been the radar discovery of weapons, the shelling of the camp is understandable. 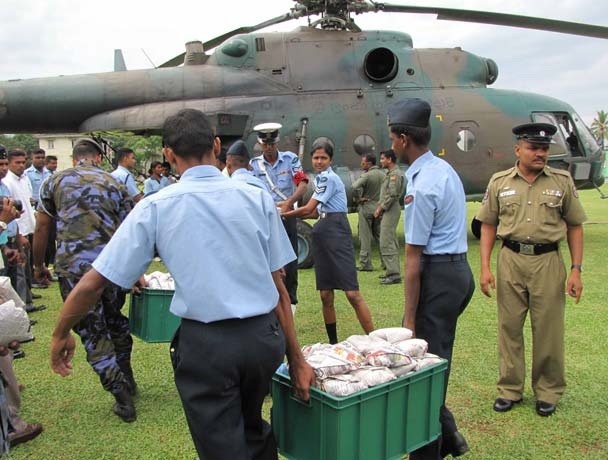 The consequent deaths of civilians was a tragedy that every Sri Lankan should mourn. It should also be noted however that no similar incident has occurred after that. I suspect then that, given that much of the information about the PTK hospital was given to the US State Department by HRW, they are the source too of all this perversion with regard to PTK. The facts however are clear, that the LTTE used the area as a military base and ‘fired mobile artillery from the vicinity’. 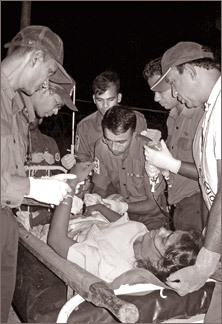 We are expected to believe the Panel’s assertion that the LTTE ‘did not use the hospital for military purposes until after it was evacuated’, just as we were expected to believe HRW’s assertion that ‘no LTTE fighters were located in or adjacent to the IDP camp at the time of the attack or directly before’ even though we are told that the LTTE were sometimes in the camp with heavy weapons which they did not show. What this means is that the LTTE deliberately killed civilians. Once you start on that road, obviously you do not worry about numbers. 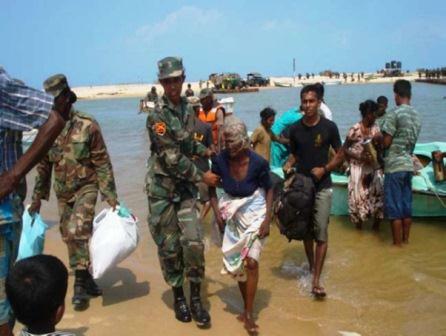 The Panel however does not engage in estimates of how many deaths the LTTE inflicted, though it is quite happy to do so in passages that criticize the Sri Lankan government. Secondly, it knows that the LTTE deliberately endangerd IDPS and hospitals. Does the Panel not understand that this is a brilliant perversion of a win-win situation? If the enemy then withholds fire, you can continue to attack them with impunity. If they return fire, targeting your weapons, and civilians die, you can declare that this is not collateral damage, but deliberately inflicted – and then you can find people to pontificate about how appalling this is, people who say nothing about more careless activities if the perpetrators are powerful (though they may excuse themselves on the grounds that they are not paid for that, whereas the UN has hired them only to pronounce against Sri Lanka). The extract I saw from the Panel report concludes with a description of truly upsetting scenes at the Mullivaikkal hospital, culminating in shelling of a second hospital at Vellamullivaikkal, which was set up because the first had been hit often. The Tamilnet reports of attacks on the first hospital claims they happened on May 2nd after the military was provided with exact coordinates of its premises, but six days later the hospital was still being used. On the next day it seems a new hospital was established at a junior school, which suffered attacks three days later. It would be nice to think that the members of the Panel were simply gullible. After all, we too suffered from gullibility. I remember how worried we were on August 8th when Tamilnet reported that an ‘artillery barrage killed an 18-month-old baby and caused injuries to 16 civilians, including the GA Ms Imelda Sukumar, who was at her official residence’. 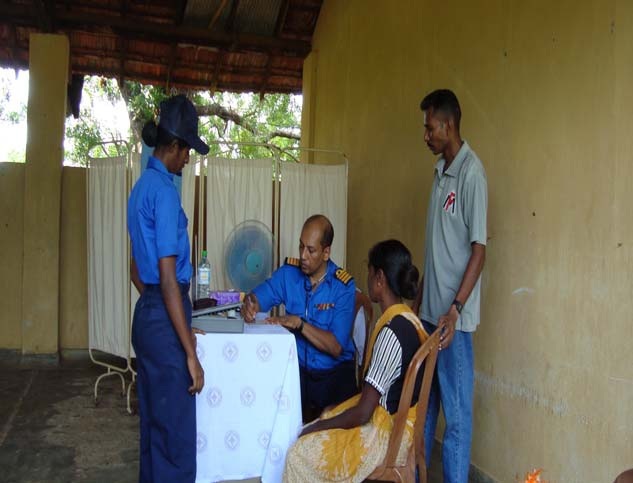 Ms Sukumar was GA at Mullaitivu, a difficult position to occupy given that the LTTE was in control of the District for many years. We called round frantically to find her, and be reassured that her condition was not serious, only to discover that she had gone to Vavuniya on official business. Sadly, given the political agenda exuded by the Panel report, I do not think sober discussion of facts will cure, not their gullibility, but their determination to ensure that no small country dares to succeed against the wishes of the more powerful.